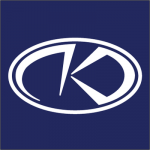 KraftCPAs, PLLC is an independent certified public accounting firm. With offices in Nashville, Columbia, and Lebanon Tennessee, the firm provides not only audit, tax, and accounting services, but also a broad range of consulting services to meet their clients’​ growing needs. Work For KraftCPAs, PLLC? Claim This Page.